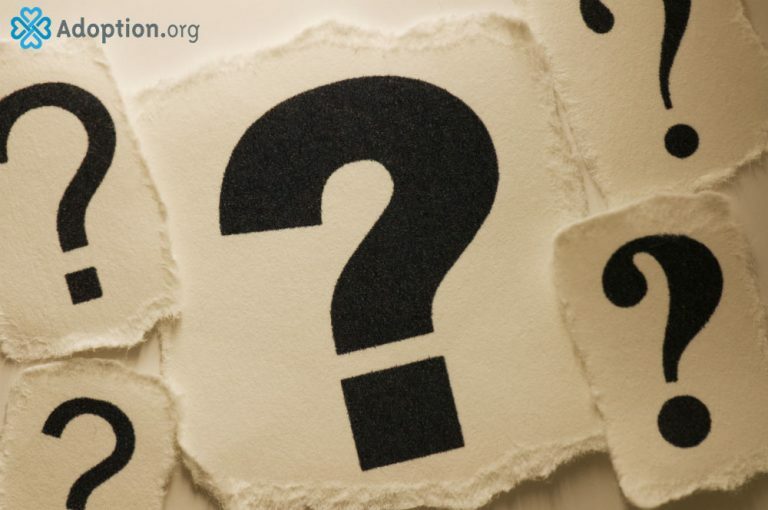 What Are Questions to Ask Yourself Prior Adoption? You may think you’re ready to be a parent, but it’s important to determine whether you’re committed to parenting a child who has experienced significant loss in his life. Have I Read About Trauma and How It Impacts Adoptees? Children who are adopted, regardless of their age, have experienced trauma by being separated from their birth family. A good resource for understanding how to parent kids with trauma-informed care is “The Connected Child,” by Karyn Purvis. You can also learn more about her research in EmpoweredToConnect.org. To What Type of Adoption Situation Am I Open? Can you and your partner (if applicable) honor a child’s heritage from another culture? Do you have the resources and time available to care for a child with special needs? It’s also important to learn about the different types of adoptions: Open, closed and semi-open/semi-closed, and whether you’re willing to respect a birth family’s wishes for contact. Can I Afford the Adoption Process? While foster care may be less expensive, the average private adoption can be upwards of $30,000-$40,000. Can you afford the fees? Will you need to save a few more years or host fundraisers to offset the costs? Is My Home Ready for a Child? Prior adoption, consider setting up a bedroom or nursery ahead of time and purchase necessities, so you’re ready when you welcome a child home. Am I Adopting for the Right Reasons? Explore your reasons. Do you feel like you can save a child? (Hint: the savior mentality is not a good reason to adopt a child.) Do you feel called to adopt? If Applicable, Have I Grieved My Infertility? Not everyone pursues adoption after experiencing infertility. However, if you are someone who has experienced infertility, it’s important to grieve the loss of having biological children prior adoption. Consider reading: Please Don’t Adopt If You Haven’t Grieved Your Infertility. Am I familiar With My State’s Adoption Laws? Not all states have the same laws when it comes to terminating parental rights and taking custody of a child. Be familiar with the process in your home state, as well as any state you are considering adopting a child. Do you have friends and family who are eager about your decision to grow your family through adoption? Do you have a network who understands the complexities of the process? Consider looking into this book: In On It: What Adoptive Parents Would Like You To Know About Adoption. A Guide for Relatives and Friends by Elisabeth O’Toole. What Is My Employer’s Family Leave Policy for Adoption? Believe it or not, some workplaces don’t offer parental leave for employees who adopt. Check with your human resource manager to determine what benefits you may have. To learn more about adoption-friendly workplaces, visit the Dave Thomas Foundation for Adoption.